The property is fantastic and in a great location! Easy to explore the Cotswolds and plenty of nice venues close by for evening meal etc. Very stylish spacious flat in a beautiful historic building. Exceptionally clean. Very warm welcome and great communication throughout. Very accommodating owners. Location is amazing. We loved it. Close to town centre, very clean, all the toiletries were handy.Easy to get the keys. Good comunication, Heater was working properly. I hardly recommend and will be back in some point. Ideal location on new docks development. Clean and comfortable. Centre of town. Parking space nearby included. The warm welcome, the location with its view of the docks and easy stroll to the city centre, and the impeccable flat situated within an historic building. Modern and in central location for Gloucester's shopping and sightseeing. Lovely property and very friendly owner (and mum!). Lock in a great price for Stewart Reynolds Warehouse Apartment - rated 9.7 by recent guests. One of our top picks in Gloucester – and a guest favourite. Situated 1.5 miles from Kingsholm Stadium and 750 yards from Gloucester Cathedral in Gloucester, Stewart Reynolds Warehouse Apartment offers accommodation with a kitchen. Free WiFi is provided. The nearest airport is Gloucestershire Airport, 5.6 miles from the property. This property also has one of the best-rated locations in Gloucester! Guests are happier about it compared to other properties in the area. Stewart Reynolds Warehouse Apartment has been welcoming Booking.com guests since 5 Feb 2017. 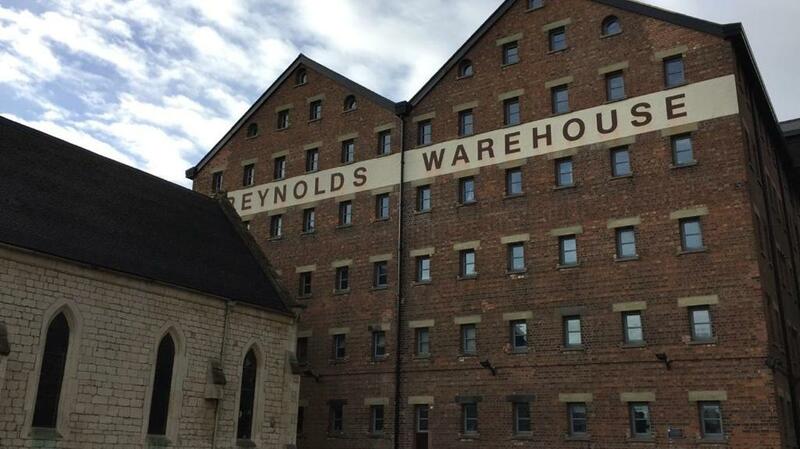 When would you like to stay at Stewart Reynolds Warehouse Apartment? This apartment has a oven, kitchenware and electric kettle. House rules Stewart Reynolds Warehouse Apartment takes special requests - add in the next step! A security deposit of GBP 175 is required upon arrival for incidentals. This deposit is fully refundable upon check-out and subject to a damage inspection of the accommodation. Very comfortable and plenty of space for 4 adults. The apartment provided everything we needed. Everything, this was the third time we have stayed at the apartment and was very happy with everything. We will be staying again without hesitation. Beds.. keep saying it, Small double thin matress, false economy. Sleep is essential ! Seagulls! As it was warm had to have windows open, squeaking through night.